After installing our Lighthouse anchor windlass I realized that we needed an anchor chain washdown. 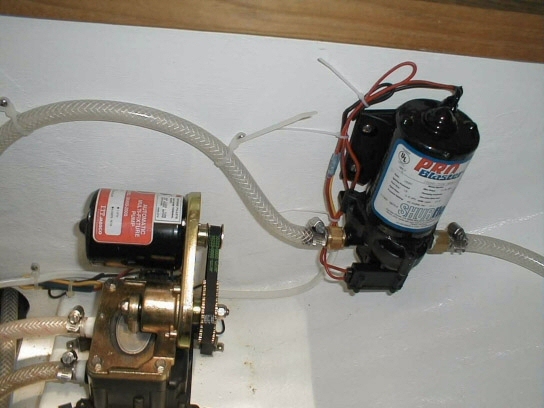 I installed the pump in the starboard middle under settee compartment and ran the plumbing from the raw water manifold up under the foreward berth to the anchor pulpit. 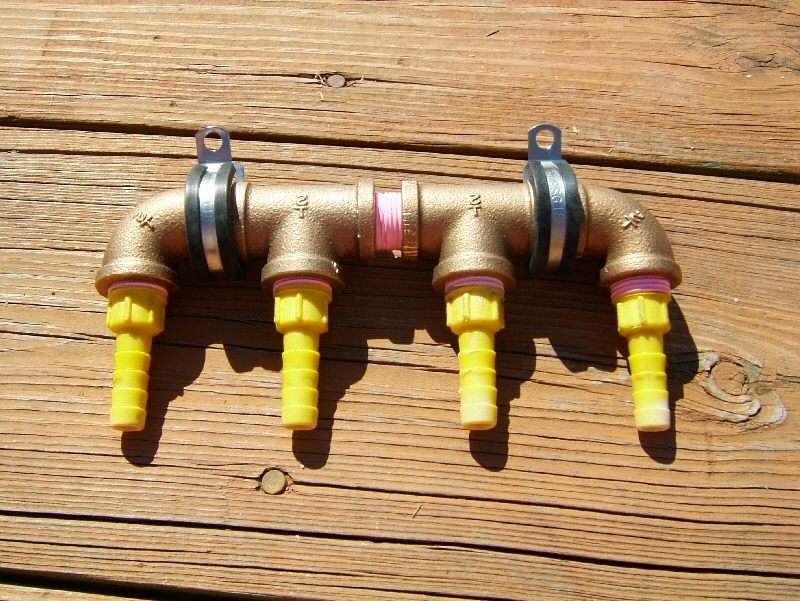 We had a fitting blow out of the PVC hot water manifold one evening so I made a new one using brass fittings. We also removed the fresh water accumulator tank and installed a new demand water pressure pump.